In the past few years their has been an increase in the popularity of water features. These water features can be very formal or quite natural. There is an aray of materials that can be used to create your water feature. Most water features require some maintenance, but those that are well planned can help to minimize you commitment. 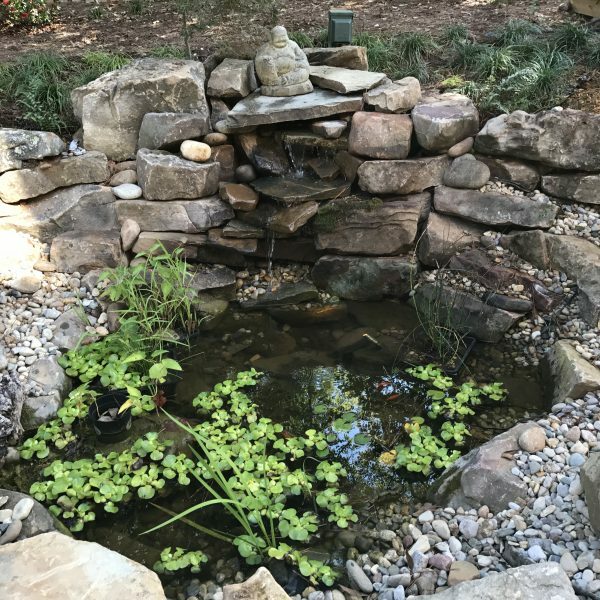 You can enjoy the tranquil and relaxing sounds and movement of flowing water in your landscape by adding an outdoor fountain, waterfall, or pond. 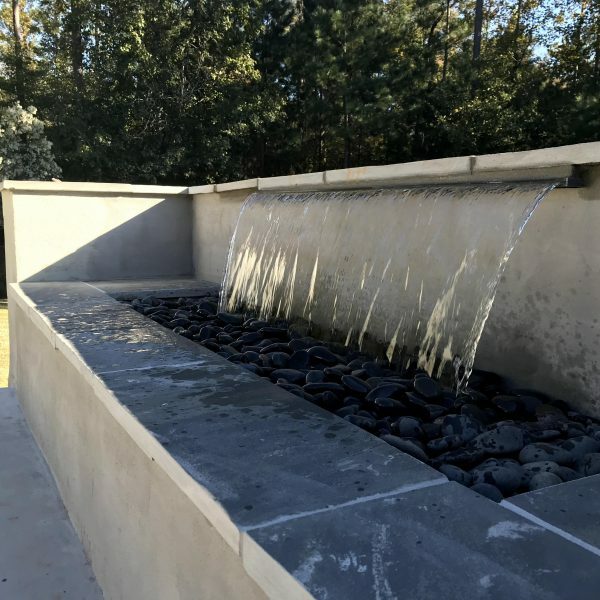 Our team of professionals can design and install an array of outdoor water features with varying sizes and styles to your property. 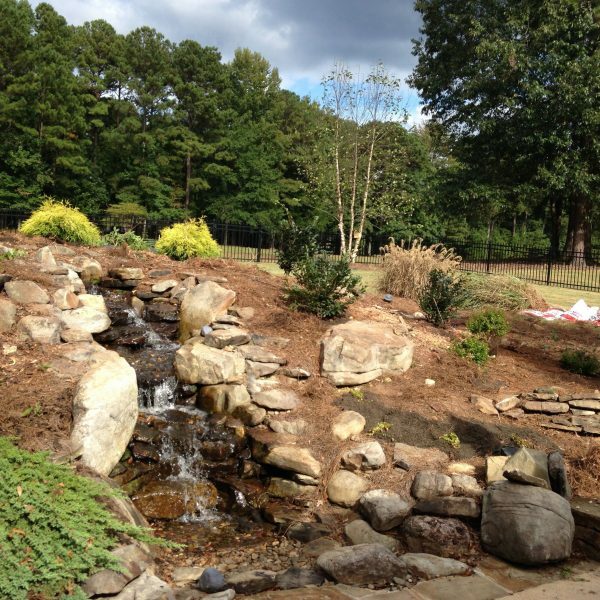 From a stately brick or stacked-stone water fountain to a calming water pond or a breathtaking waterfall, call us today for a consultation and estimate on adding a water feature to your landscape. 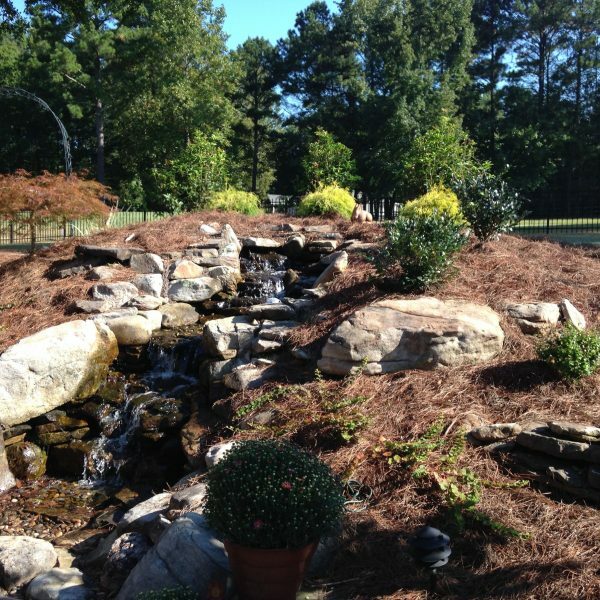 All South Lawnscapes offers a wide variety of options of water features for your outdoor spacing. If you are interested in creating a personalized landscape design for your property schedule a free estimate with our on staff Landscape Architect. You will be presented with plenty of options to chose from to ensure the vision you have for your property is achieved. Schedule an estimate online by filling out our form or give us a call at our office 678-878-6968 to schedule an appointment. 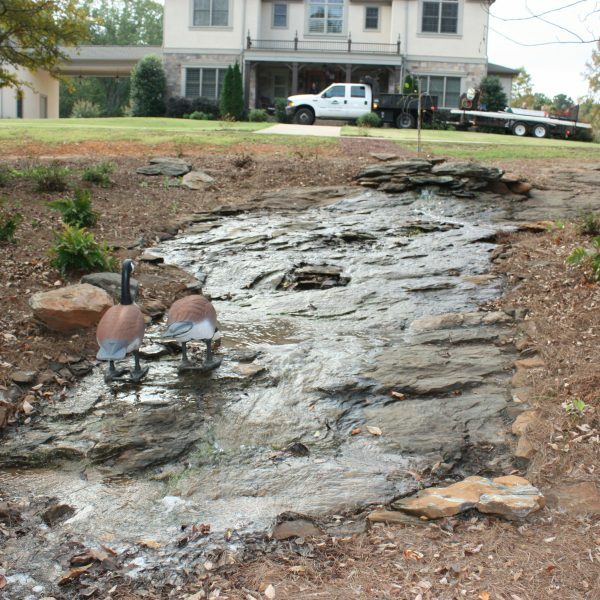 A Pondless Waterfall is simply a re-circulating waterfall or stream without the presence of a pond. 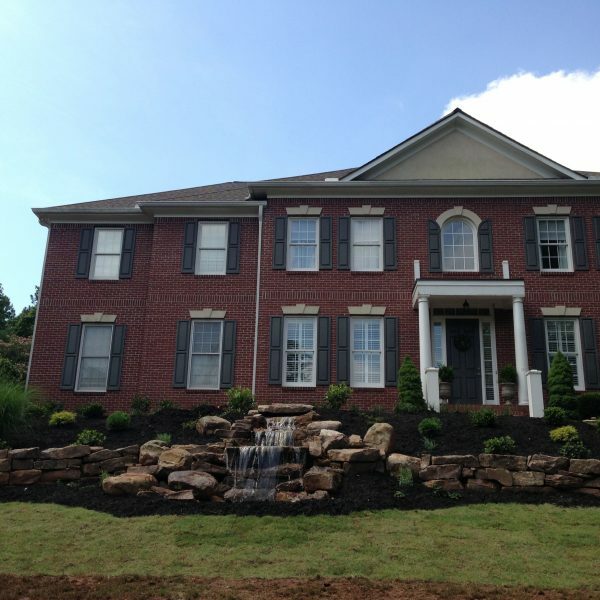 The Landscape Architecture at All South Lawnscapes can create you a beautiful Pond-Less Waterfall design. 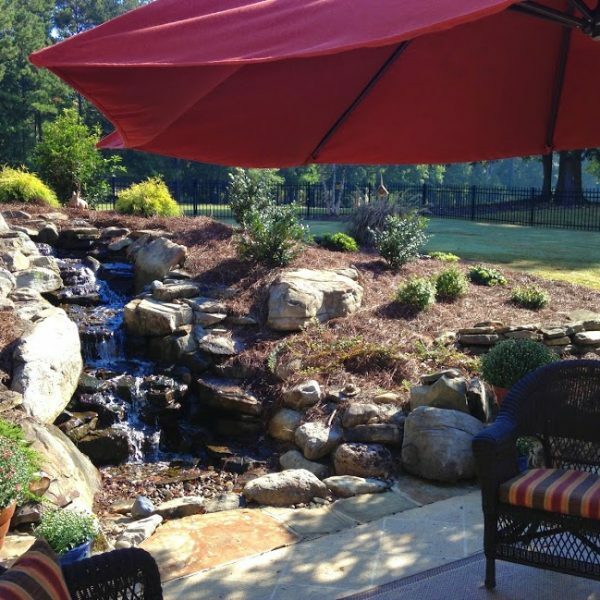 At All South Lawnscapes we want your outdoor spacing to be your own personal paradise. Waterfalls bring an amazing dynamic with many design options to choose from. Man made ponds generally refer to bodies of water that are built and/or are maintained by humans rather than Mother Nature. 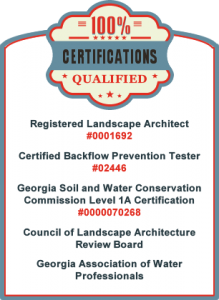 All South Lawnscapes have designed and created beautiful backyard ponds and have a variety of ideas for you to choose from. Babbling of a stream of water make the continuous murmuring sound of water flowing over stones. This is one of the most soothing sounds and one you can capture for your own personal nature escape.